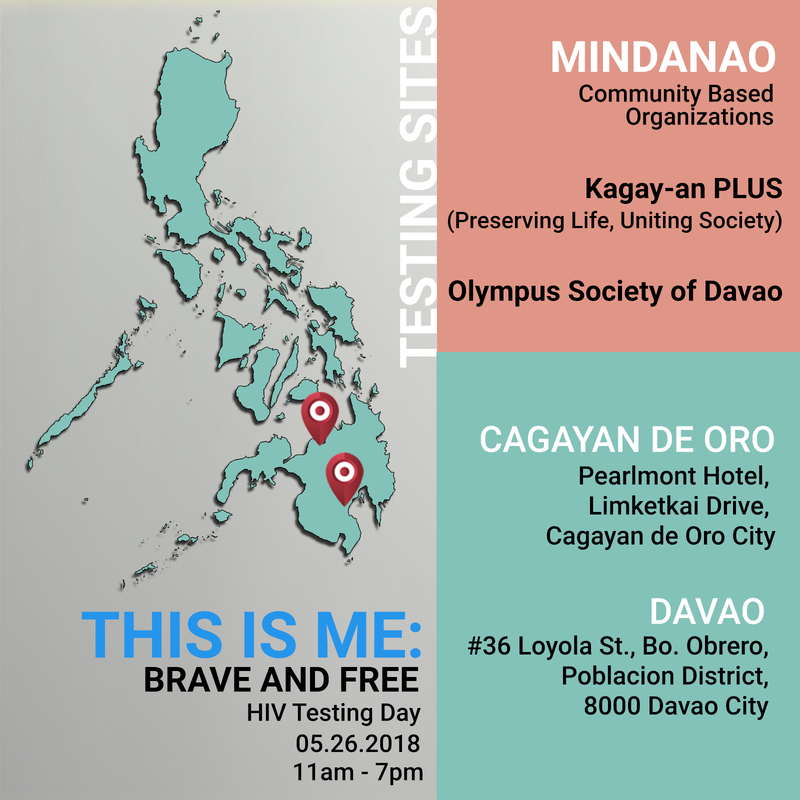 The Olympus Society of Davao, Inc. (OSD) and Kagay-an PLUS–Preserving Life, Uniting Society, Inc. (K-PLUS) will join with LoveYourself, Inc. in a nationwide human immunodeficiency virus (HIV) testing day on May 26 (Saturday) to address the increasing number of persons diagnosed with HIV in Mindanao. Based on records from the Department of Health (DOH), it showed that about 70 new cases were recorded in Regions 10 and 11 combined, which is equivalent to eight percent of the total 912 newly diagnosed HIV cases in March 2018 alone. 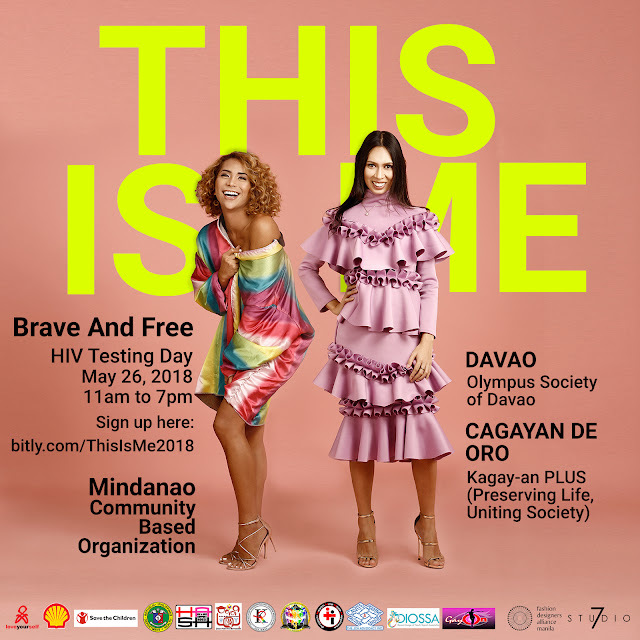 The OSD and K-PLUS will bring LoveYourself’s “This is Me: Brave and Free” campaign – the first-ever community-based multi-city HIV testing to Davaoeños and Kagay-anons on Saturday from 11:00 a.m.-7:00 p.m. To join, register atwww.bitly.com/ThisIsMe2018. The OSD of Davao City will hold the HIV testing at #36 Loyola St., Bo. Obrero, Poblacion District while the K-Plus in Cagayan de Oro City will conduct the testing at Pearlmont Hotel, Limketkai Drive. OSD Chairperson Oscar Obenza Jr. said their group started as a text-based clan in June 2014 and evolved into a beacon for gender-equality, addressing the stigma and discrimination on HIV. “We will continue advocating the programs [i.e., HIV prevention] in line with the thrust and direction of the organization,” Obenza said. The K-PLUS, on the other hand, was formed mid-2015 with an aim to represent the LGBT and the people living with HIV (PLHIV) communities, according to K-PLUS, Inc. Executive Director Enrique Niño Patricio. “We are doing this for a CAUSE [HIV advocacy], and not for APPLAUSE,” Patricio emphasized. Patricio urged Kagay-anons to be open-minded on HIV-related services to eliminate the stigma of HIV in Cagayan de Oro. He also encouraged the public to take advantage of the free government services such as HIV testing and treatment. The “This Is Me: Brave and Free” campaign is supported by the DOH-Research Institute for Tropical Medicine, Pilipinas Shell Foundation, Inc., Save the Children, AIDS Healthcare Foundation (AHF) Philippines, Philippine NGO Council on Population Health and Welfare, Inc. (PNGOC), AusAID Australian Aid Program and HIVOS Humanist Institute for Development Cooperation. Visit www.bitly.com/ThisIsMeInfo for more details.